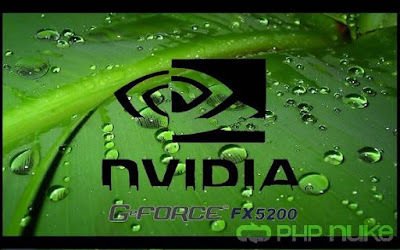 NVIDIA, the pioneer of GPU-accelerated computing, is hosting the first Indian edition of the GPU Technology Conference, the world’s biggest and most important conference for GPU developers. GTCx India will bring together the country’s luminaries in deep learning, high performance computing, artificial intelligence and visual computing from across industry, startups and academia. From self-driving cars to robotics and AI, the single-day agenda at GTCx India will cover the technologies and concepts that are changing how humans engage with the virtual worlds. This includes professional visualization, virtual reality, deep learning, and high performance computing. A curated selection of presenters will showcase their applications in each of these areas through papers and posters. The NVIDIA Deep Learning Institute will provide hands-on tutorials and training on the subject, offering the only opportunity in India to learn the concept from global experts. The VR village will provide a real life experience the virtual world. “India has reached an inflexion point where large industries, startups and researchers are realizing the power of parallel programming to accelerate change. For the first time the intent, resources, minds and technology are all available to transform the nation. We want to enable this ecosystem with the tools, support, learning and collaboration needed to capture impending technology waves that are revolutionizing not only technology, but every human endeavor over the next two decades,” said Vishal Dhupar, Managing Director, South Asia, NVIDIA. A Padma Shri and Padma Bhushan awardee, Dr. Bhatkar is best known as the architect of India's first supercomputer. He is also the Founder and Executive Director of India's national initiative in supercomputing, C-DAC. Dr. Parker leads the Professional Graphics division at NVIDIA. Combining a history of ray tracing, rendering and high-performance computing, he has been focused on bringing physically-based rendering systems to interactive applications. GTCx India will be held on December 6, 2016, at the Renaissance Hotel Convention Centre, Mumbai and will see over 1,000 delegates from industry, academia, scientists, government and startups. Registration is free of cost and can be made at http://www.gputechconf.in/.